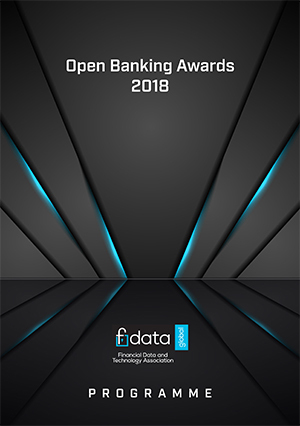 Brand Satellite created the branding and promotional material for the 2nd Annual Global Open Banking Summit and inaugural Awards, hosted by FDATA Global in Edinburgh on 6th & 7th December. 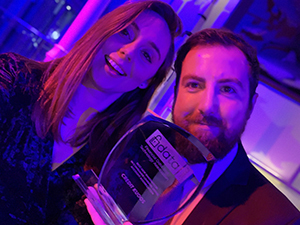 FDATA Global‘s mission is to work with government, regulatory authorities and the financial services industry to open up the financial sector all over the world to the benefits of financial data and technology. Their annual two-day summit brings together regulators and policymakers from around the world to discuss how we’re going to deliver Open Banking, collaborate on standards and set the agenda for best practice. These events are about influencing the decision makers and regulators and establishing the tone for the Open Banking movement globally. Brand Satellite worked with our strategic partners Message Matters and Melbec Events, to bring the event to life. Designs included promotional materials, social media images, agenda, awards programme, banners and Powerpoint templates.